Lot 1404. 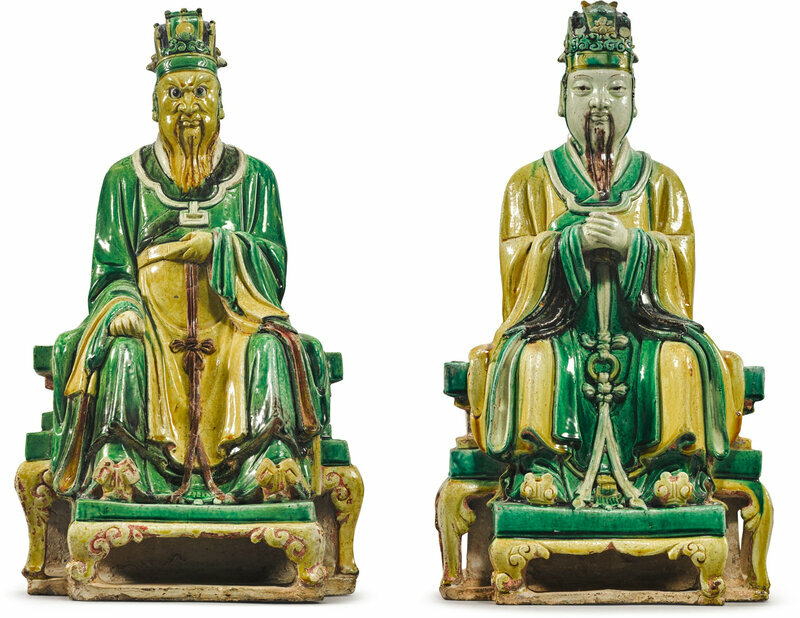 Two sancai-glazed Daoist figures, Ming dynasty (1368-1644). Heights 19 in., 48.3 cm. Estimate: 8,000 — 12,000 USD. Sold Price: 10,000 USD. Courtesy Sotheby's. each modeled wearing long robes with ringed pendant sashes, stylized official's headdress, and upturned ruyi-toed shoes, one with yellow-glazed skin bearing a stern expression, the left hand holding the belt, the other with a calm expression with hands clasped to hold a tablet (now lost), seated on tiered thrones with scrolled spandrels and feet, in rich yellow, green, and aubergine glazes (2). 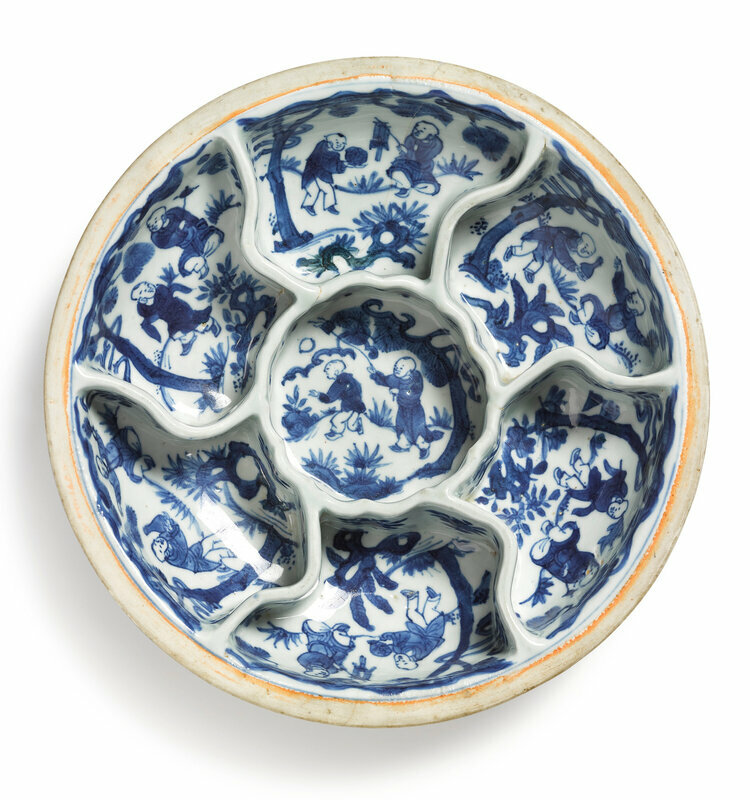 Provenance: Ralph M. Chait Galleries, New York.